can I buy 5 turkeys and 10 chicks to make the minimum shipping number? Turkeys are hatched at a different facility than baby chickens - separated for biosecurity reasons. 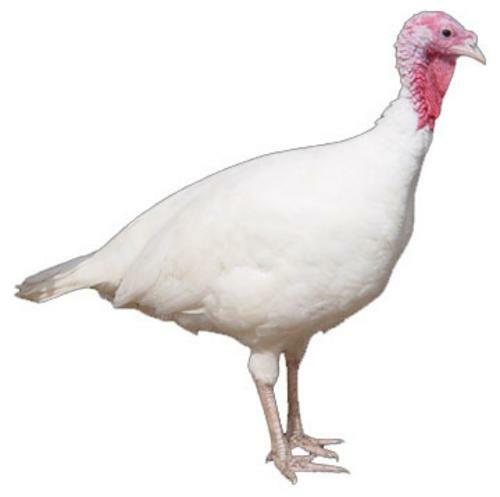 Sorry, we are unable to ship turkeys with chickens. What age is best to butcher a midget white turkey? It is recommended to butcher around 25 weeks of age. Best Birds EverOnce they mature a bit, these birds are almost carefree. They forage like crazy, get rid of all the bugs, won't tear up the ground if you give them a dust/dirt bathing spot, and are sweet birds. A small flock will care for all the poults, with the tom being primary caretaker while foraging. Hens are broody to a fault. I highly recommend these turkeys for a small family flock.